The weighted fitness bar is a simple, one piece solid steel bar encased in high quality easy grip rubber for a secure and comfortable grip. 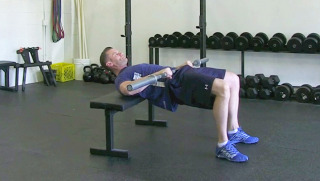 The weighted bar can be used for a variety of exercises and is used in personal training, physical therapy, and home workouts. 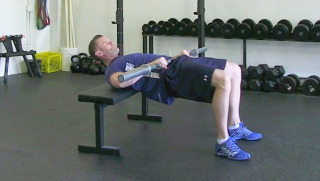 Start sideways on the bench with the edge of the bench just below your shoulder blades. 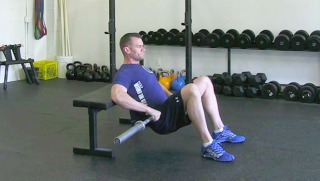 Place a barbell or weighted bar across your hips and lower your hips towards the floor. Drive your hips back up through your heels and fully contract glutes and hamstrings at the top.